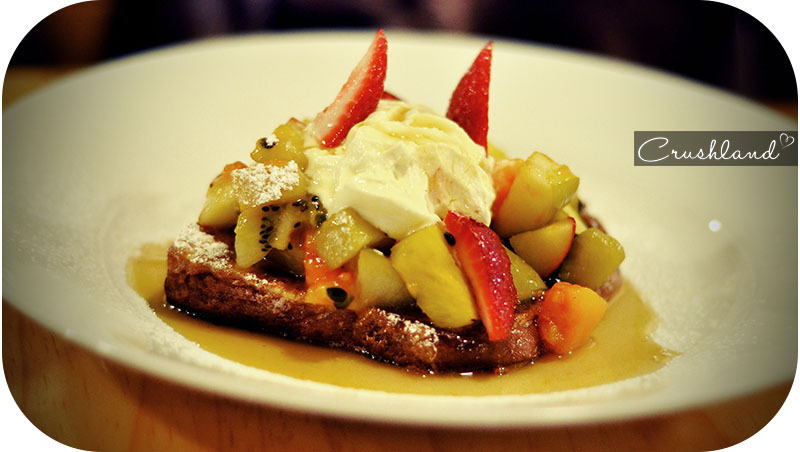 The Brioche French Toast with pan fried fruit, crème fraiche and honey. Fruit lightly tossed in the pan just enough to be warmed through and not soggy, lashings of granadilla, topped with something better than fresh cream and drizzled with honey. Perfection! 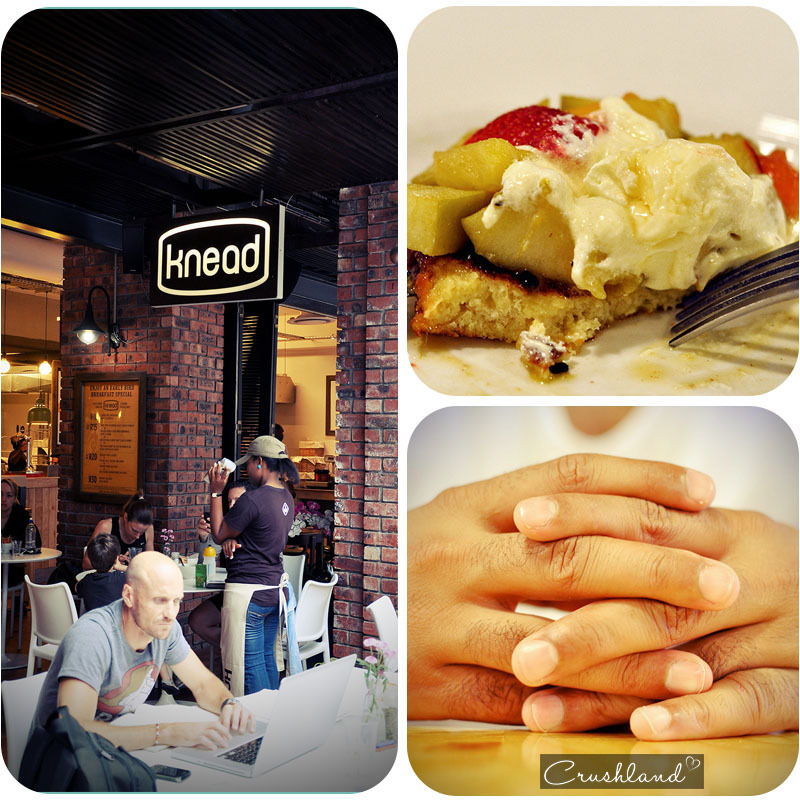 This heavenly experience was had at the Knead in Wembley Square, definitely the most memorable breakfasts I’ve had in a long time. Also great when you’re not quite starving and not sure if you want something sweet or savoury. The smoked salmon and scrambled eggs with pesto was left forlorn and looking on sadly at the edge of the table while we were clamouring over this treat! All this for only R35. 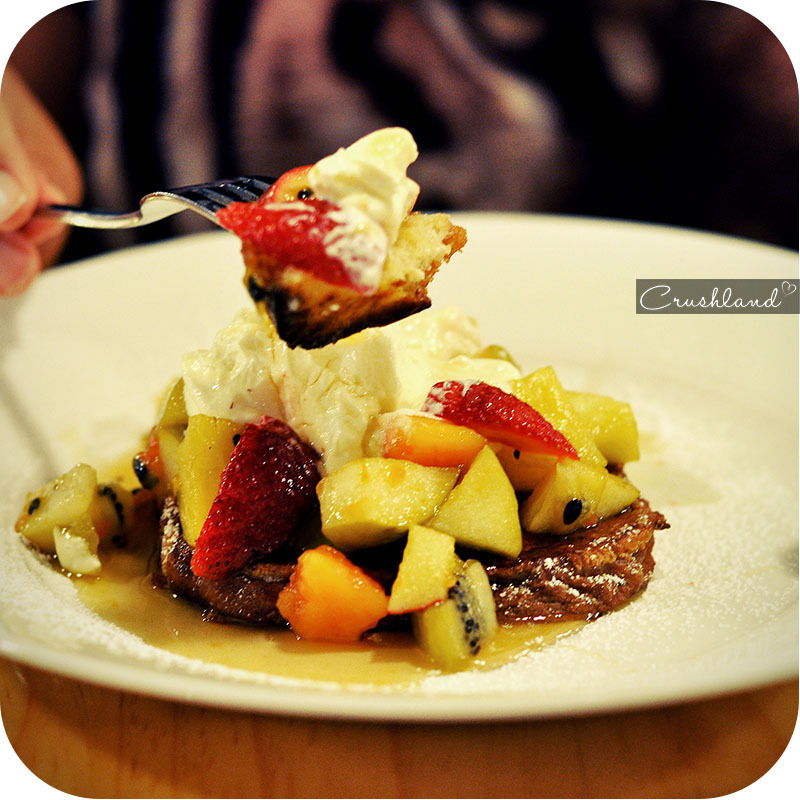 We found ourselves in Kloof Street at 8:30am a few days later and ended up at Knead in the Lifestyle Centre to indulge in this delight again. It was just as good, except it didn’t have the granadilla which made the first one so memorable. Devilishly delicious, complete with horns A messy-fun time for kids too. 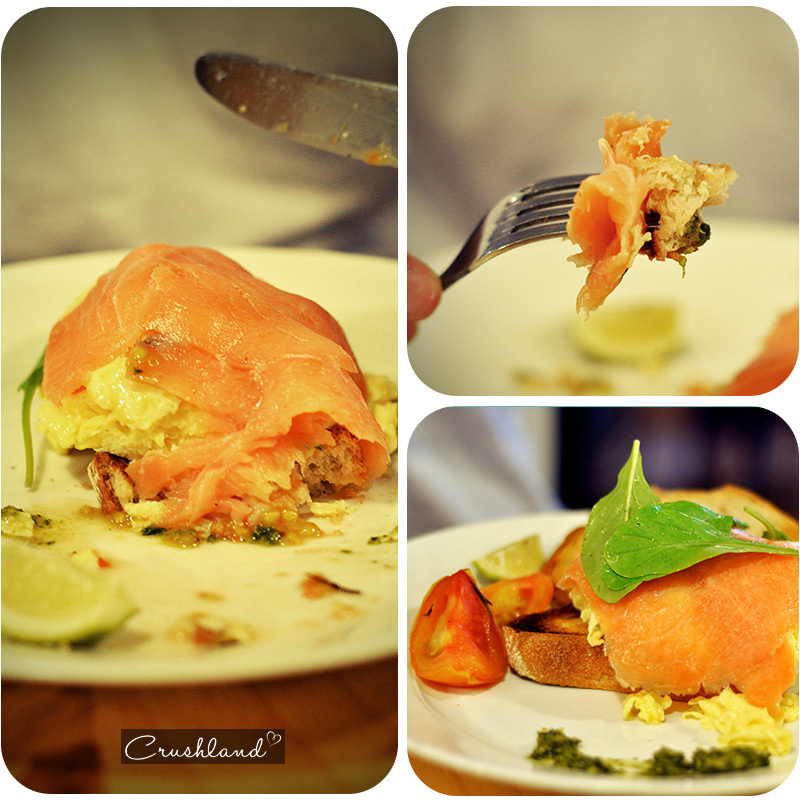 The smoked salmon and scrambled eggs wasn’t anything to write home about, or maybe because the French Toast stole the spotlight? Where is your favourite breakfast spot in Cape Town? I need to compile a list! 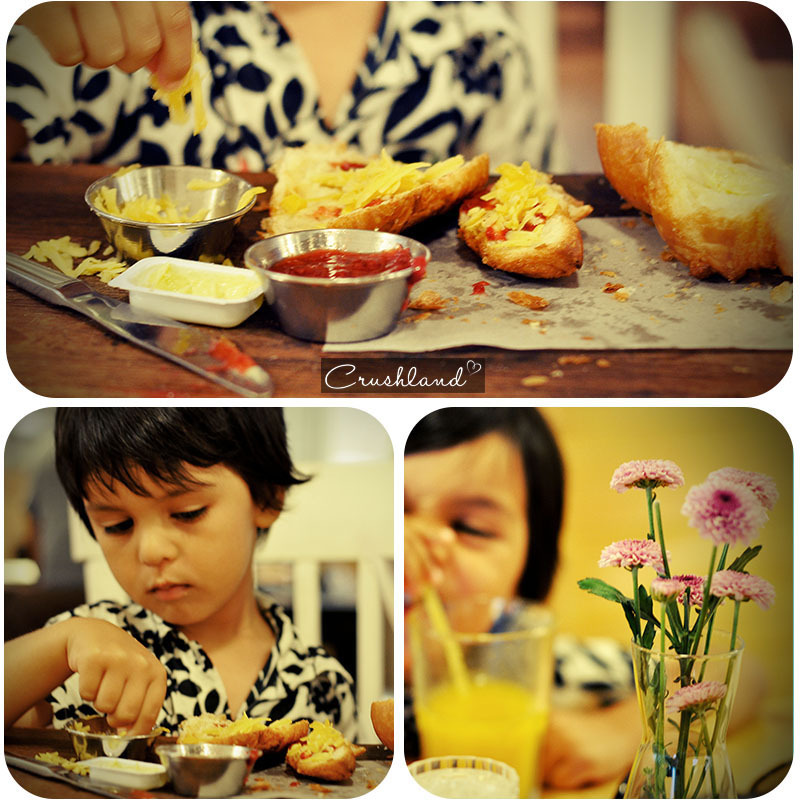 Tags: breakfast, breakfast spot, brioche, cape town, creme fraiche, foodie, french toast, fruit, granadilla, honey, kloof street, knead, knead bakery, restaurants, smoked salmon, south africa, wembley square. Bookmark the permalink. one of my favorite breakfast spots. 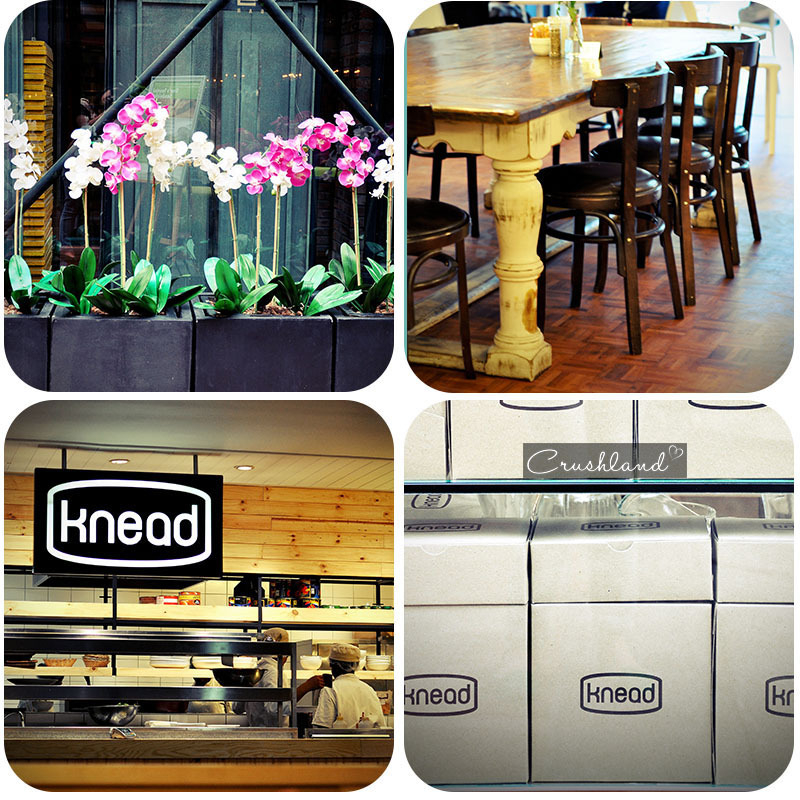 Knead!